The two Porsche Juniors Thomas Preining (Austria) and Julien Andlauer (France) have selected their teams for the upcoming Porsche Mobil 1 Supercup season. In addition to a funding package of 225,000 Euro towards the races run as support to Formula 1, the talented youngsters are coached on and off the racetrack in preparation for a successful career in professional motor racing. 19-year-old Thomas Preining enters his second season as a Porsche Junior in 2018, and will race for the Lechner Racing team. In 2017, the Linz-resident turned heads in the Porsche Carrera Cup Deutschland – Germany’s national one-make cup series – with a victory at the Hockenheimring Baden-Württemberg and first place at the invitation event on the Nürburgring run as support to the FIA World Endurance Championship (WEC). Moreover, he contested four rounds of the Porsche Mobil 1 Supercup as a guest driver and impressed with three top-ten finishes. Preining will also tackle the Porsche Carrera Cup Deutschland for Lechner Racing. The new Porsche Junior Julien Andlauer takes on the new season for the Martinet by Alméras team. Driving for the French racing squad, he contests the Porsche Mobil 1 Supercup as well as selected rounds of the Porsche Carrera Cup France. 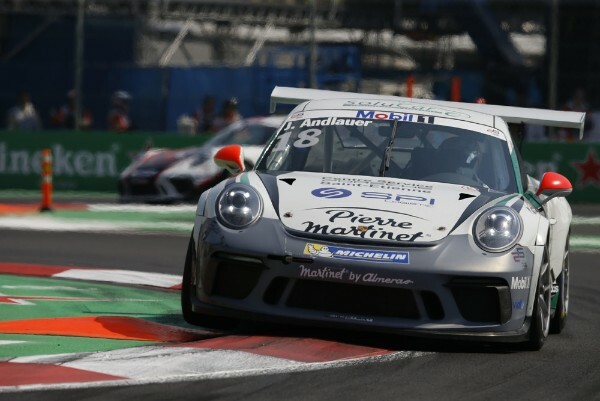 The 18-year-old is the reigning champion of the Porsche Carrera Cup France and last year beat eight international candidates in a junior selection programme. In addition to financial backing, Porsche provides its juniors with the tools for a long-term career. This programme includes driver mentoring, fitness tests, individualised training programmes as well as media and mental instruction. The two-time overall Le Mans winner Earl Bamber is an excellent example of the career possibilities. After winning the Porsche Carrera Cup Asia one-make series in 2013, the New Zealander contested the Porsche Mobil 1 Supercup as a Porsche Junior. He won the international one-make cup in 2014 and netted his first victory at the Le Mans long distance classic as a works driver the following year. Bamber repeated this triumph in 2017.